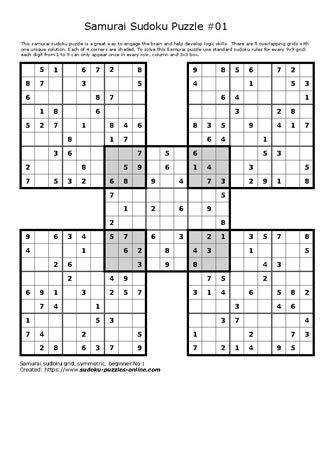 This sudoku puzzle could be considered an enhanced version of the basic sudoku puzzle. Use basic sudoku rules to solve this brain teaser. As a strategy try solving the 4 corners first, and then proceed to complete the nearby 9x9 grids as the solution reveals itself.